Steve D. Knapp, P.E. 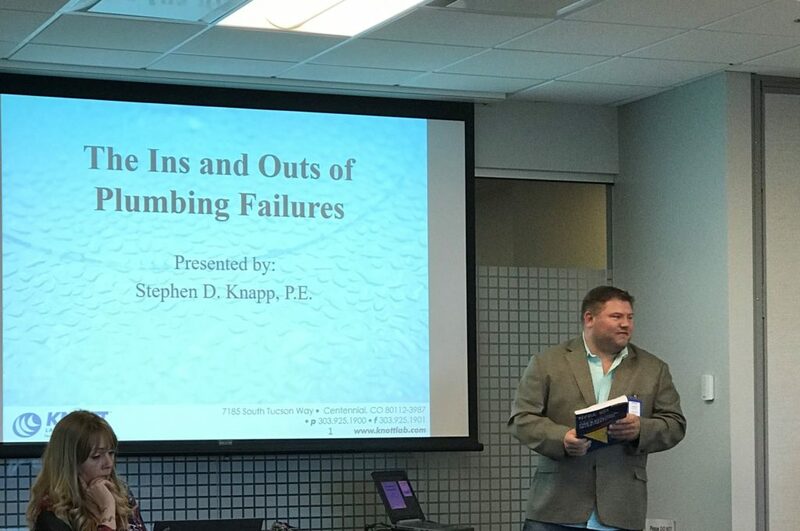 presents “The Ins and Outs of Plumbing Failures” at the Rocky Mountain Association of Special Investigation Unit (RMASIU) monthly meeting on February 7, 2018. More information about the RMASIU can be found on their website.